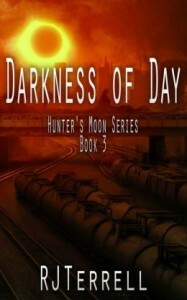 A dark force is released and wreaking havoc amongst the sanguines and mortals. A string of grisly murders occurring around the world brings together Jordan Stone, Rhun Korza, and Erin Granger to once again save the world. But this time, the evil may be too much for even them to handle. Dr. Erin Granger – Archaologist and the Woman of Learning. This is billed as the final entry in the Order of the Sanguines series, which really is a shame because it’s the one series of James Rollins I personally have enjoyed the most. I like the action and the mythology that is incorporated into the storylines. As usual within this, there were a lot of twists, turns, and cliffhangers. There were holy betrayals, and allies you’d never expect. With a force as evil as what they go up against, one has to wonder if they will make it out alive. To answer that question, you’ll just have to pick up Blood Infernal. If there were one drawback to it, it would be a subplot involving a character from the past novel(s). That storyline never really seems to fit into the whole of this story, and seems as if it was throne in just to include the character. If that part were left out, I think the story would have functioned just the same. If I were to rate this on my usual scale, I would rate it for 18 or older. The reasoning behind it is because of a lot of the violence, some language, and adult situations. 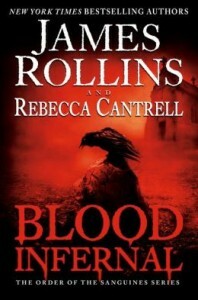 But if you’re a fan of Mr. Rollins, a Fan of the Sanguines series, or just a fan of Paranormal Fantasy in general, than you definitely want to check out the final entry in the Sanguines trilogy. Be sure to drop back by and let us know what you thought. 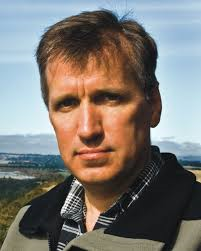 James Rollins is the New York Times bestselling author of thrillers translated into forty languages. His Sigma series has been lauded as one of the “top crowd pleasers” (New York Times) and one of the “hottest summer reads” (People magazine). Acclaimed for his originality, Rollins unveils unseen worlds, scientific breakthroughs, and historical secrets—and he does it all at breakneck speed. Find James Rollins on Facebook, MySpace, and Twitter, and at www.jamesrollins.com. *Disclaimer* A special thanks goes out to Danielle at Harper Collins for a review copy of this book. It in no way influenced my review. You can discuss it here or join my facebook page and discuss it there. 6) Contest will continue until 4/15/2013. 7) This giveaway is open to residents of US only. No PO Box addresses (street mailing only). Nikolai – A fallen angel. Hope Matheson – A woman with a broken past. What would you sacrifice for someone else? Throughout mankind’s history, there have been those individuals willing to give up everything in their lives for their fellow man. 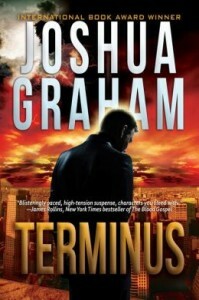 In Terminus, by Joshua Graham, he tackles that question through the character of Nikolai. Nikolai is basically a grim reaper. His job is collect the souls of the dearly departed. But when he has to collect the soul of a young girl, and see the broken spirit of her mother, he decides he no longer wants to continue as a Reaper. He takes on a job for another division and is given three simple tasks. However, as he becomes involved in the lives of the 3 people involved, he finds the tasks harder and harder to accomplish. Mr. Graham has taken stories of old and given them a new spin. The fallen (or disgraced) hero who must decide between his job and what he feels is right. The reader can feel Nikolai’s emotional turmoil as he finds himself struggling between the two goals. The characters are richly developed and while the reader at first sees each storyline evolve separately, they eventually reach a point where they are all integrated into one major plotline. The situations are real, or at least as real as you can get when writing about fallen Angels in the modern world, but they are real to this world. You get to watch the characters grow and change as they are exposed to the possibilities for their lives. And you get to see how each of them would answer the question. I would recommend this book for any fan of paranormal fantasy. While there are some religious undertones, Mr. Graham is never the type to beat one over the head with proselytizing. For an age group I’d say ages mid teen to adults due mainly to subject matter and some of the storylines. It seems that Mr. Graham left the door open for more stories within this world, and I for one look forward to it with eager anticipation. Josh grew up in Brooklyn, NY where he lived for the better part of 30 years. He holds a Bachelor and Master’s Degree and went on to earn his doctorate from Johns Hopkins University. During his time in Maryland, he taught as a professor at Shepherd College (WV), Western Maryland College, and Columbia Union College (MD). 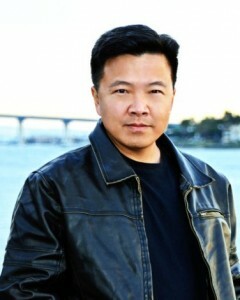 For Film Rights Josh is represented by UNITED TALENT AGENCY. Please use the CONTACT button on his website www.joshua-graham.com/contact for all inquiries. *Disclaimer* A special thanks goes out to Joshua at for a review copy of this book. It in no way influenced my review. You can discuss it here or join my facebook page and discuss it there. Jelani is back, and is feeling rather weird. Something has happened since we last saw him, and now he’s forced to adjust to a new “life”. Meanwhile, he, Daniel, Wen, and Alysha are still in danger from a Hunter Vampire. Mr. Terrell’s writing continues to grow stronger with each outing. In this his combat scenes of which there are many are breathtaking. I could visualize the action taking place on the screen. 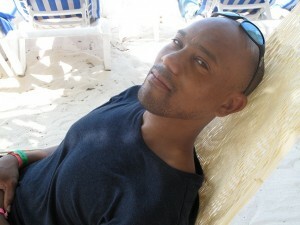 The characters are showing growth, particularly in the character of Jelani who is facing major life changes. The plot is intricately woven and keeps me wondering what is going to happen in the end, and it’s an ending I both anticipate and will regret when it occurs. Mr. Terrell left plenty of cliffhangers in the story to make one want to pick up the next, and I can hardly wait to find out how they are resolved. If you are a fan of paranormal fiction, vampires, and just fantasy stories in general, give Mr. Terrell’s series a try, I think you’ll like it. If you do, be sure to stop by and tell us what you thought. R. J. Terrell was instantly a lover of fantasy the day he opened R. A. Salvatore’s: The Crystal Shard. Years (and many devoured books) later he decided to put pen to paper for his first novel. After a bout with aching carpals, he decided to try the keyboard instead, and the words began to flow. When not writing, he enjoys reading, videogames, and long walks with his wife around Stanley Park in Vancouver BC. *Disclaimer* A special thanks goes out to the Author for a review copy of this book. It in no way influenced my review. You can discuss it here or join my facebook page and discuss it there. Sadie O’Connell – Mother going through marital and drinking problems. Sam O’Connell – 5 Year old son of Sadie. Leah Winters – Sadie’s best friend. Philip O’Connell – Husband to Sadie, their marriage is fractured. As a parent how would you react if your child was kidnapped. What would you do if you were forced to allow it to happen. That is what happens with Sadie O’Connell one night when she enters her son’s bedroom and finds him in the arms of serial kidnapper the Fog. A fight ensues, Sadie is injured, and The Fog with gun pressed against Sam’s neck threatens to send him back to her in pieces if she tells the cops what he looks like. This was an emotionally driven tale. At some points you think it’s a tale of a mother’s love, at other times a thriller, and still other times a supernatural tale. There were times with the character of Sadie that I wanted to slap the snot out of her, and other times I felt really sad for her. The characters are very well crafted, they draw out the intended emotions, and there are many twists and turns in the storyline as the pages are turned. It’s not quite like any other book I’ve read, so it’s hard to say if you like x author you’ll like this, but if you’re a fan of dramatic stories, thrillers or the like, then pick this up. I think you’ll really enjoy it. It was my first time reading something from this author, but she’ll definitely bring me back for more of her writing. If I’d write it, I’d say for extremely adult situations, some language, and violence that it would be rated PG-13 or above. Definitely not for younger or more immature readers. Cheryl Kaye Tardif is a Canadian author, whose is best known for Whale Song, which is now available in its third edition, the 2010 ebook edition. Whale Song, an emotional mystery that explores controversial issues like assisted suicide, school bullies and racism, has captured the attention of numerous film companies. A screenplay, which Cheryl wrote with co-writer Alison Neuman, was completed in 2006, along with a movie treatment. Cheryl is now in negotiations with a respected film producer/director. The 2007 paperback edition of Whale Song went out of print as of February 1, 2009. All rights have been returned to the author. In 2009, Cheryl branched off into romance with her debut romantic suspense Lancelot’s Lady, which will be released as an ebook in late September 2010. Since romance is a different genre from Cheryl’s usual suspense/thrillers and YA, she wrote Lancelot’s Lady under the pen name of Cherish D’Angelo. Lancelot’s Lady was a semi-finalist in the Dorchester Publishing Next Best Celler contest hosted by Textnovel. It also won an Editor’s Choice award from Textnovel in 2010. A novelette of suspense titled Remote Control was released in ebook edition in July 2010; and a collection of stories titled Skeletons in the Closet & Other Creepy Stories is slated for release in August 2010. In September 2005, Cheryl’s gripping action-packed techno-thriller The River was released. This carefully researched novel explores the mysterious Nahanni River area, nanotechnology and man’s obsession with longevity. The River has been compared to works by Michael Crichton, James Patterson, Dean Koontz and Dan Brown. Cheryl is also the author of the 2004 “sizzling psychic suspense” Divine Intervention, a ‘psi-fi’ suspense thriller (or paranormal romance) that has been compared to works by authors such as Iris Johansen, Kay Hooper and Nora Roberts/J.D. Robb’s ‘In Death’ series. All of these novels have made Amazon.com’s bestsellers list. In 2006, Cheryl Kaye Tardif participated in a hilarious new TV series ‘A Total Write-Off’, hosted by comedian Barbara North. In 2004, Cheryl was nominated for the Lieutenant Governor of Alberta Arts Award. In 2003, she wrote a public service announcement for a racial harmony campaign. Her PSA script, One Voice ~ One World, placed third and was produced and aired on cable channels in Alberta. Cheryl has not only held hundreds of book signings, she has organized multi-author signings, held a virtual book tour and taught others how to do their own, and she has presented at conferences in Canada and the US. Cheryl is known amongst her peers for her creativity and knowledge regarding book marketing, and in 2009 she embarked on a new venture as a Book Marketing Coach. She is a member of various social networks, including Twitter, Facebook, MySpace, Goodreads, Shelfari, LibraryThing, AmazonConnect and Chapters Online Community. As a teen, Cheryl was a journalist with a weekly newspaper column. Years later, she completed a course in Journalism and Short Story Writing and graduated with Highest Honors. She has worked as a motivational speaker for a respected international company, written material for a number of companies, and worked as a consultant in telemarketing, sales and promotion. But writing fiction with passion and vision is her dream. Cheryl has completed her next novel, Children of the Fog, a terrifying suspense that asks, “how far are you willing to go for your child?” She has also completed Divine Justice, the second in the Divine mystery series, and has started another thriller, plus a YA novel, Finding Bliss, the first novel to be written on the iPhone 3G using the Notes application. Born in Vancouver, BC, Cheryl Kaye Tardif was a “military brat” and a “military wife” who has lived all across Canada and in Bermuda. Now residing in Edmonton, AB, with her husband Marc, daughter Jessica and the family dog, she is an author that Booklist calls “a big hit in Canada…a name to reckon with south of the border”. *Disclaimer* A special thanks goes out to Author for a review copy of this book. It in no way influenced my review. You can discuss it here or join my facebook page and discuss it there. This novel comes close on the heels of Mr. Terrell’s first entry into the Vampire phenomenon. We once again see the characters we came to know in Running From the Night. This time they are in danger from even more Hunters. A new threat is exposed. The reader also gets a glimpse into the “government” of the Vampires. I found this one like it’s predecessor to keep me glued to the page, I really like the characters and some of the things I was critical about in the first book were cleared up in this one. It was a very tight story, with interesting characters, and a lot of action. There were also many unexpected events that left me with that “Oh Wow, Did he really just do that.” feeling with the various characters. Their lives are fun, and they (despite being hunted by Vampires) I think would be fun people to hang out with. 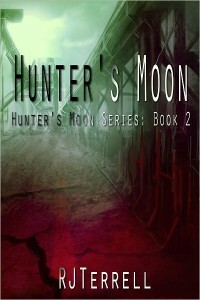 If you are into Action, Fantasy, Vampire Stories or just good survival against all odds books, give Hunters Moon a chance. I think you’ll like the the world that Mr. Terrell created for you. I don’t typically do Vampires. 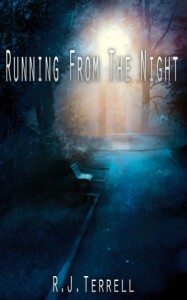 For that fact, neither does this author, but Running From the Night represents R.J. Terrells foray into the vampire realm. Following on the heels of his fantasy Trilogy Legend of Takashaniel, Mr. Terrell has once again brought us into a different world while leaving us simultaneously in the same world. The characters were well developed, and as a reader I found myself concerned with their fates. The characters not only have to worry about vampires trying to kill them, but deal with real world issues such as girlfriends and spurned lovers. I found the character of Saaya’s background to be very interesting as well and look forward to finding out more about her. There were some technical issues such as characters mirroring movements that at times were a bit distractive. It seemed to work in some scenes for example combat, and when they were involved in tai chi, but didn’t seem to carry over strongly into more mundane actions. Overall though, I was really pulled into it and wanted to see more. I have a feeling that all hell is going to be unleashed, and I want ringside seats. For his first journey into Vampire stories, I’d say Mr. Terrell did very well indeed and I will definitely be waiting for the next installment. *Disclaimer* A special thanks goes out to Mr. Terrell who provided a review copy of this book. It in no way influenced my review. You can discuss it here or join my facebook page and discuss it there.